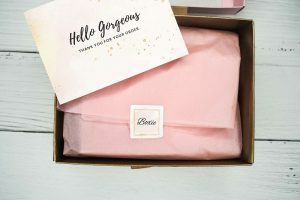 One of the things we love most about subscription boxes – apart from the great convenience they offer – is the element of surprise and excitement. We all know that feeling when a new box filled with items we love arrives in the mail – it’s like Christmas all over again! Nowadays, there’s a subscription box for just about any product you’d want to buy, such as beauty products, books, food, and much more. Since there is a vast selection to choose from, we’ve compiled a list of top subscription boxes to help narrow it down. We prepared a chart that shows our favorite boxes from various categories to keep it simple and organized. To discover more details about each box, scroll below the table to learn more about their offer, pricing, saving opportunities, and more! There’s a growing number of beauty boxes, and many of them offer very similar products, which means it can be pretty hard to choose. Keeping this in mind, we’ve listed some of our favorite subscription boxes – makeup, beauty, and skincare to share! Each short paragraph below will explain what each box offers, pricing, and anything else we found relevant to share. To start off, Birchbox definitely makes the list of our favorites.They were one of the first beauty subscription boxes to launch in 2010. Their boxes include mainly sample-size products with occasional deluxe and even full-size products. This box is a great way to test out products to find your new favorites. Birchbox is one of the few subscription boxes under $15. It costs just $10 per month with free shipping. There’s also an annual option for $110 per year. You’re able to fill out a beauty profile so they can customize your products best fit for you. Plus, they always have great coupons for their shop and partner shops. Glossybox has had a tremendous amount of success since it began (soon after Birchbox) and is now one of the most popular beauty boxes in the industry. Each month, they provide five products based on your beauty preferences. You’ll receive deluxe-sized samples and even some full-sized products in your boxes. There are four different plans to choose from. Monthly (which you can cancel anytime) costs $21 per month. They also have longer-term subscriptions that save some money. A three-month package is $58, a six-month is $111, and a one-year subscription costs $210. Shipping is free for the United States. Similar to Birchbox, Ipsy is another of the best subscription boxes for beauty products. However, rather than boxes, Ipsy ships their products in cute reusable makeup bags each month! They send five sample size (and sometimes full-size) products just like Birchbox does. The products they send are customized based on your beauty preferences. Their boxes just $10 per month, and they also have a prepaid yearly subscription for $110. What’s more, shipping is free! Julep differs a bit from the previous monthly subscription boxes. The unique trait about this box is that they only provide their own brand of products in their boxes! They make high-quality beauty and nail polish products. You can choose if you’d like to just receive nail polish or skincare and beauty products (or a mixture of both).